With SMU CAPE professional courses and programs, you can strengthen your resume and explore new fields of interest. Take a class at SMU's main campus in Dallas, at SMU-in-Plano, or customize a program to suit your specific need and have it taught in your home or office. Indulge your curiosity. Explore new ideas. Nurture your creativity. SMU CAPE personal enrichment courses offer a wealth of opportunities to explore subjects that excite and intrigue you. Join fellow enthusiasts for stress-free learning opportunities without the pressure of tests and grades. Calling all adventurers for a learning expedition with the SMU Summer Youth Program! Explore weekly workshops in game design, coding, robotics, visual arts, math, language arts, as well as SAT and ACT test prep. Programs are offered for students entering grades K – 12 from June through early August on the SMU-in-Plano campus. Strategize for success. Gain confidence. Achieve your goals. Standardized tests are an important application requirement for many university programs – for aspiring undergraduates, graduate students, and professionals seeking certification alike. With help from SMU CAPE, reach your test date with the knowledge and skills to perform at your best. SMU CAPE provides education and training to enhance careers and transform lives and organizations. We offer quality, convenience, affordability, and flexibility. Our unique, interdisciplinary course content serves as a gateway to higher education, allowing adults to continue and guide their own learning. Today, world changers are shaped at SMU. Soon world changers will be shaped everywhere. CAPE will soon become SMU Global and Online, partnering with academic units throughout the university to bring you an exciting curriculum rooted in this world-class institution at the global gateway of Dallas. Prepare for your success, no matter where you are located. Browse our current opportunities and register today. 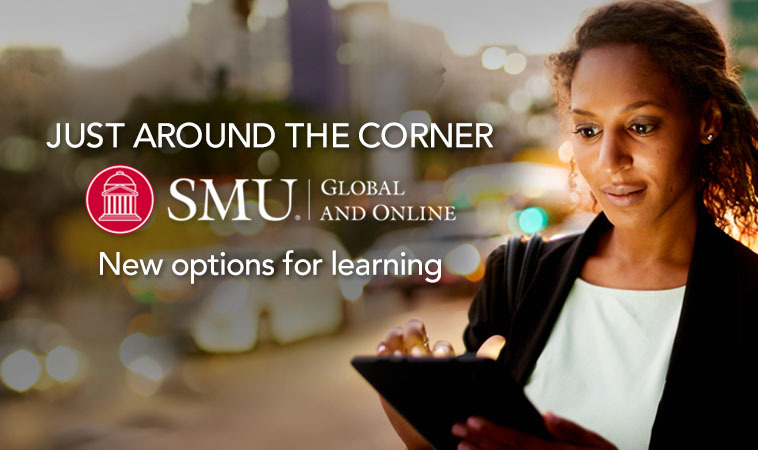 Learn more about SMU Global and Online by signing up to receive updates. World changers will be shaped everywhere. Do you have a question, comment, or idea for a program or course? Let us know! SMU CAPE offers special group rates for customized programs uniquely suited to your organization’s needs. Any SMU CAPE course can be tailored to fit your requirements. Contact us for more information!